If you are charged with a second offense for operating under the influence (OUI) in Massachusetts, you may be aware that the laws have changed. The penalties are stiffer than ever. The prosecutor's burden of proof is less than ever before. A prior OUI conviction or admission can come back to haunt you if you are arrested or charged again. When this happens, you can be charged with a second offense for operating under the influence of liquor or drugs. This comes with a whole new set of penalties, and leaves many people assuming that they will go to jail and lose their license for many years. At Bellotti Law Group, our Massachusetts OUI lawyers are familiar with all the recent changes in the law, and still ready to do battle using the most recent and innovative challenges. We know the consequences of a second OUI conviction and we know how your rights must be protected when facing a charge -- like this one -- with enhanced penalties. 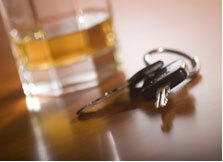 If you are charged with an OUI 2nd, you likely have far more options than you think. While the charge can call for a minimum of 90 days in the House of Correction, there are alternatives to incarceration. Intensive treatment may be an option. In some cases, you can even obtain a so-called "work" license allowing you to drive after six months. Contact Bellotti Law Group, P.C. of Cambridge and Quincy today to discuss your case. We offer free telephone consultations. Be sure to have any paperwork or other information ready when you speak to us. For a free legal telephone legal consultation, contact us at 617-225-2100 or use our contact form.